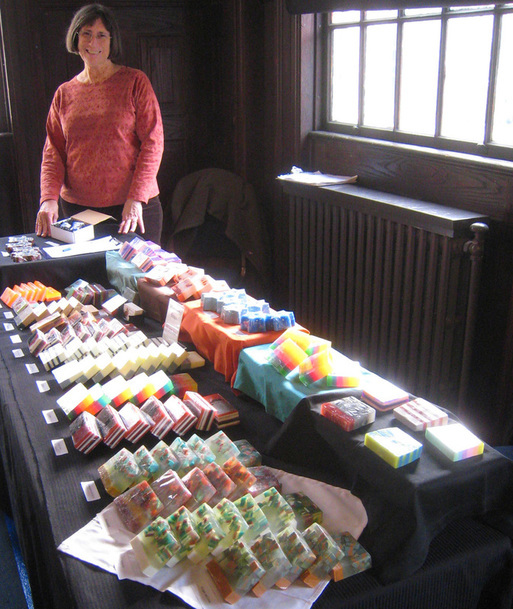 I am fascinated with melt and pour soaps because I can combine color, fragrance, and design all at once. My soap is both useful and indulgent; luxurious and affordable. It allows me to play. This is as good as it gets for a craftswoman. I hope you enjoy this as much as I do. All my ingredients are FDC approved.